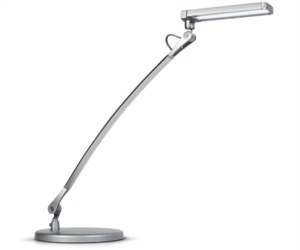 Select one of our most popular desk lights and LED lighting solutions here. Current workstations demand energy efficient lighting with a contemporary design. 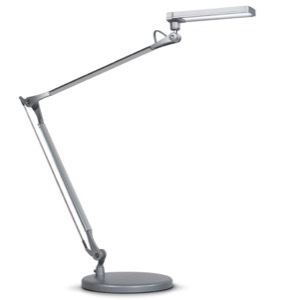 All of our task lights offer attractive lighting solutions and profiles that blend into any working environment. Understanding the environmental, economic and human factor benefits of task lighting will light the way to our Under Cabinet Lighting Solutions. As modern office designs continue to move toward greater energy efficiency, lighting is one of the easiest ways to capture LEED points. 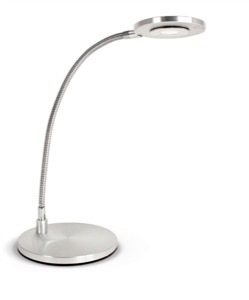 The ESI VIVID-LE desk light utilizes side emitting LED and uses just 6 watts of power. Ergonomic products like task lights, articulating keyboard platforms, adjustable monitor arms, and footrests can improve your posture, increase your comfort, and enhance your productivity at your desk. Here are a few simple guidelines to advance your position at the office.